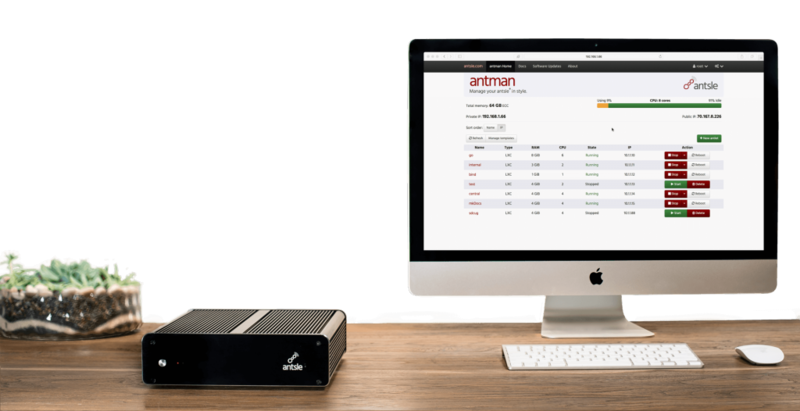 The Original:edgeLinux / antMan for easy VPS-Management preinstalled. SSD-based, 100% silent & dust-proof. All antsles are built-to-order. 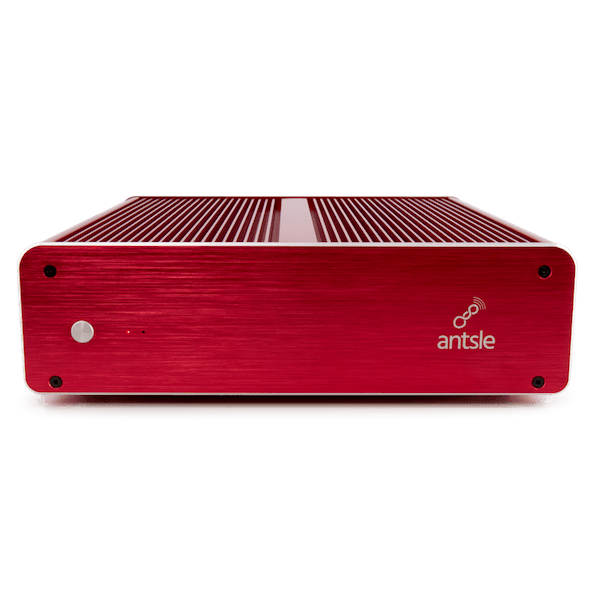 We usually ship within 3-5 business days but if you want to have your antsle built & shipped the next day, you can skip the line with Priority Building! Valid during standard business hours (Mo-Fr), order must be received before 2pm PST. Priority Building is refundable if we are unable to fulfill. Please note that this option is non-refundable. 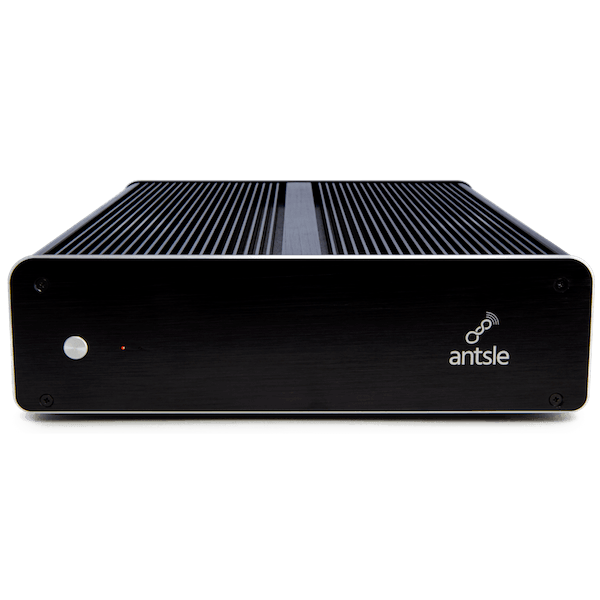 The antsle server: Powerful hardware in a compact case that also acts as the heat sink. No fans, no vent holes, no movable parts. 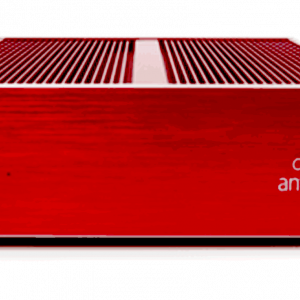 edgeLinux: Based on Gentoo Linux, enabling you to run all the Virtual Servers (antlets) you need on one box. The antsle difference: You can implement your antlets either as VMs or Containers! 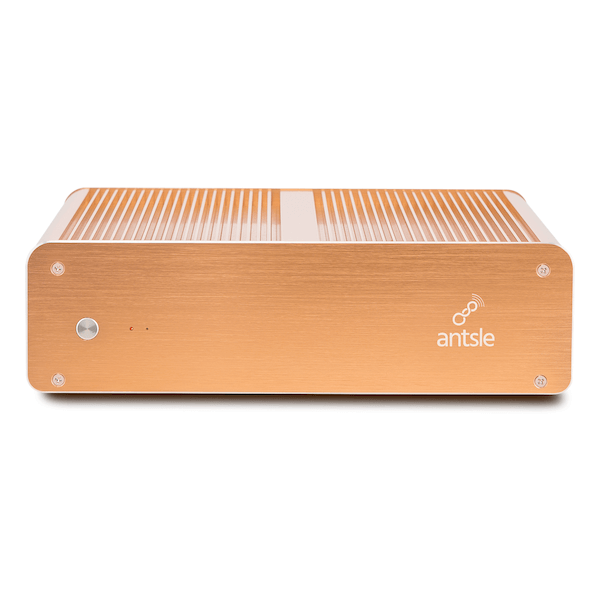 Every antsle is built-to-order, average build time for the antsle one is 3-5 business days (although we usually beat that!). The Case: Noisy fans and large servers that take up space are a no-go. 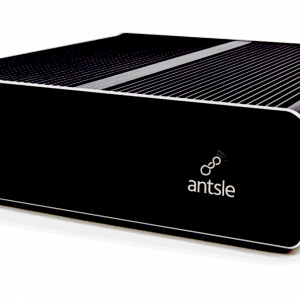 The antsle case features no fans, no vent holes and very low power consumption! Our innovative cooling technology means we are using the case as the heat sink. And even under 100% load of all CPU cores, the antsle one gets hardly warmer than just body temperature. The CPU: The Avoton are unlike the original Atoms and the only thing they share are the name. Avoton series offers the ideal tradeoff between performance and usability in a passively cooled environment. The Storage: We exclusively use high-quality SSDs and mirror everything 100% so that performance is top-notch and your data stays safe. We also use the ZFS file-system and RAID-Z, which guarantee the highest amount of safety, fault-tolerance and integrity. The RAM: Servers are designed to run for a long time. Bit errors do occur and when written to disk cause an inconsistent state on your disk. We exclusively use ECC (error-correcting code) RAM in our antsles to avoid all that. edgeLinux: Linux apps in LXC containers at bare metal performance. 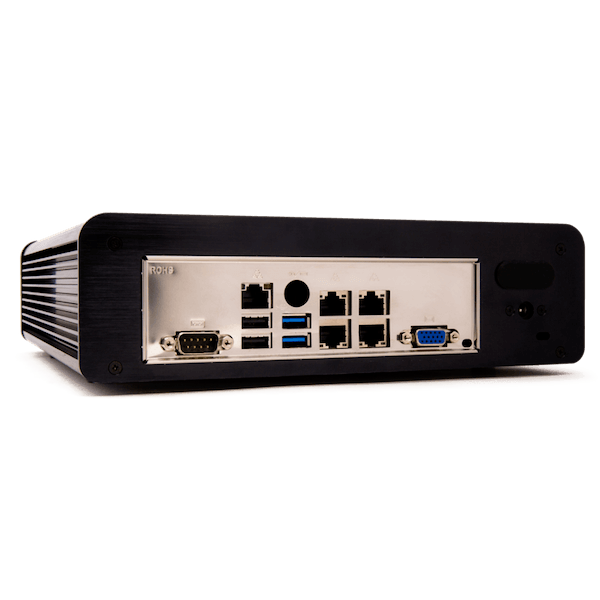 Native Linux, Windows, BSD and other OSes via KVM virtualization. 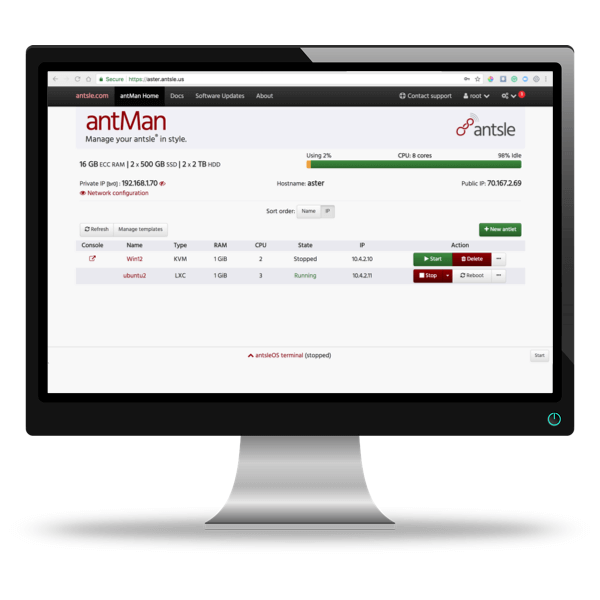 Antlet management through antmanTM. All user data transparently stored on two mirrored SSDs via ZFS. ZFS and mirroring is handled in edgeLinux and is transparent to user antlets. ZFS is the most fault-tolerant file system on the market. Used in combination with ECC RAM (error-correcting code). Free Shipping for US + Canada. 30-Day Money Back Guarantee. Free Shipping for US + Canada.